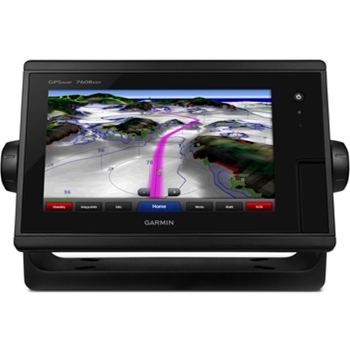 Garmin’s ECHOMap Plus 74cv offers a large 7” Combination, keyed-assist touch screen. 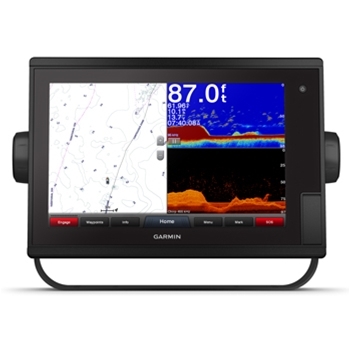 Packaged with a CV23-TM Transducer this unit comes preloaded with detailed Bluechart G2 Coastal Charts, WiFi, CHIRP ClearVu, Quickdraw contours and more! 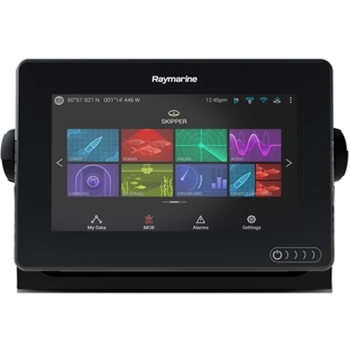 Raymarine’s eS78 MFD combines a bright, Sunlight Viewable 7” Glass Display, Internal 10Hz GPS Receiver and CHIRP Sonar with DownVision. 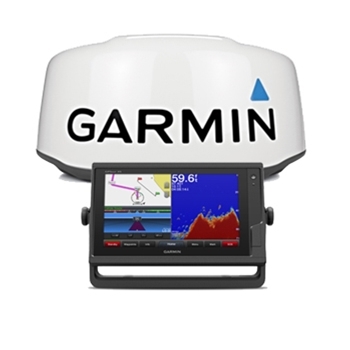 Included Lighthouse Navigation Charts (LNC) and Built in Wi-Fi provides a top choice combination unit at an affordable price point. CPT-100DVS Transom Mount Transducer Included! 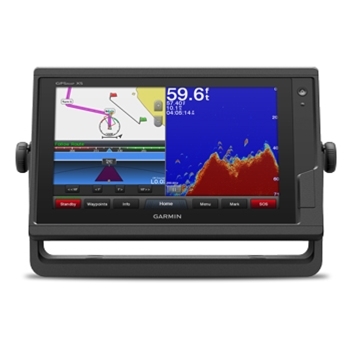 Fully Networkable, 7” Touchscreen Chartplotter and Sonar. 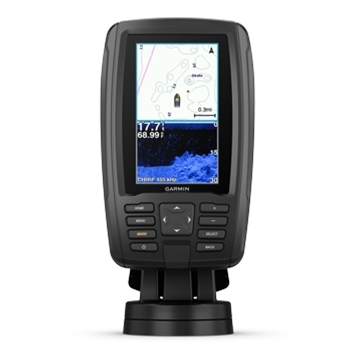 Includes built in maps for Coastal and Lake mapping, a 10HZ GPS Receiver providing fast acquisition and position tracking. 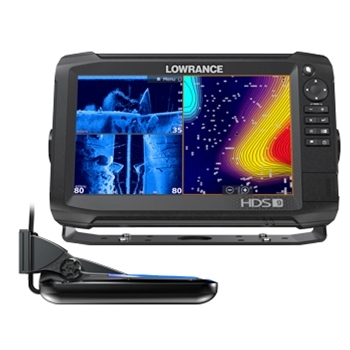 High Performance HD-ID Sonar, 1kW CHIRP, CHIRP DownVu and CHIRP SideVu Sonar. Large 7” Combination, keyed-assist touch screen. 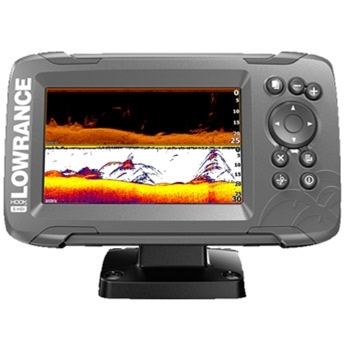 The ECHOMAP Plus 73cv with CV22HW-TM Transducer from Garmin comes preloaded with detailed Inland Lakes, WiFi, CHIRP ClearVu, Quickdraw contours and more! 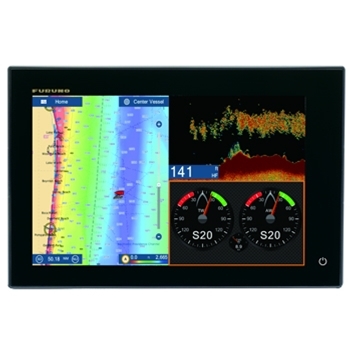 Bright, 9” Keyed-Assist Touch Display with preloaded LakeVu Charts covering over 17,000 lakes and 13,000 with 1” contours. 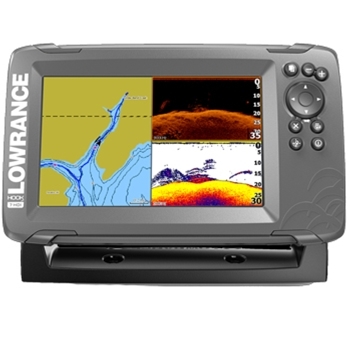 Integrate with the Active Captain App via the built-in WiFi and enjoy CHIRP sonar with the purchase of a compatible transducer. 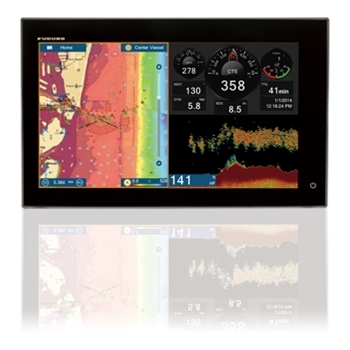 The ECHOMAP Plus 93sv with LakeVu g3 Charts has a 9" keyed assist display with preloaded LakeVu G3 Charting. The display can be controlled through the touchscreen or buttons. 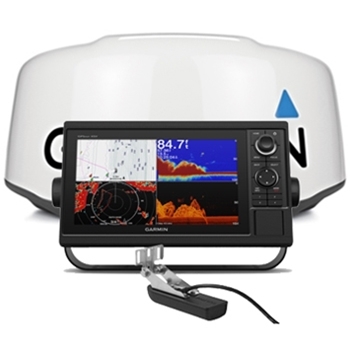 Bundled with a Transom Mount Transducer providing CHIRP Traditional, ClearVu and SideVu sonar, this unit is sure to please even the pickiest mariners. The Furuno GP1971F C-Map 4D Bundle includes the standard Furuno GP1971F package with your choice of one C-Map 4D Full. C-Map 4D Chart Bundle, A $100 Savings! 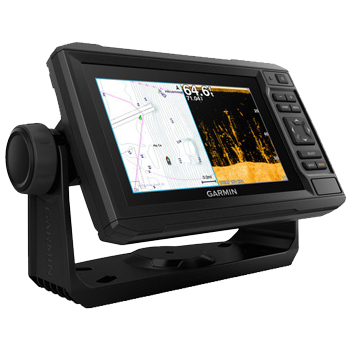 Garmin’s ECHOMAP Plus 94sv combines CHIRP ClearVu, CHIRP SideVu and CHIRP Sonar in a top choice 9” stand-alone combination unit. Keyed-Assist Touchscreen makes controlling this unit a breeze with touchscreen and buttons. Detailed Bluechart G3 Charts, WiFi, QuickDraw Contours and More! 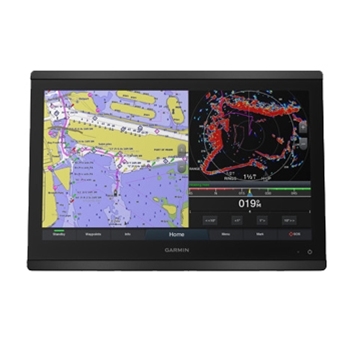 Fully Networkable, 8” Touchscreen Chartplotter and Sonar. 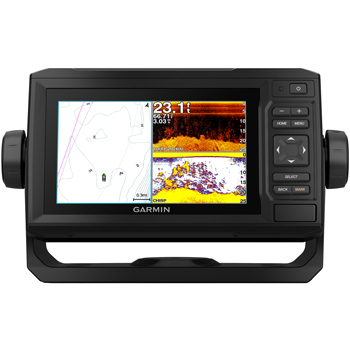 Garmin’s GPSMAP 7608xsv includes built in maps for Coastal and Lake mapping, a 10HZ GPS Receiver providing fast acquisition and position tracking. High Performance HD-ID Sonar, 1kW CHIRP, CHIRP DownVu and CHIRP SideVu. Now enjoy FLIR Camera Compatibility, Smart Boundaries and More. Transducer Required and Sold Separately. 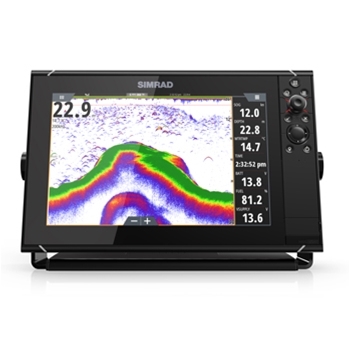 The Simrad NSS9 evo3 provides the user with an easy to operate, bright 9” Touch Screen display, Wi-Fi, Dual Channel CHIRP Sonar, Forward Scan Sonar and much more. 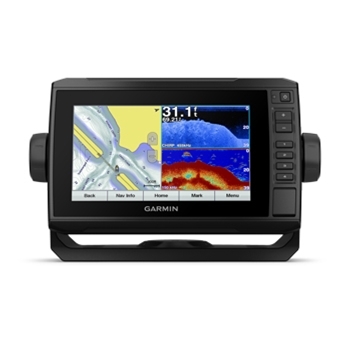 Garmin’s GPSMAP 1242xsv GPS/Sonar offers a 12” Keypad Controlled Display, Network Capable. 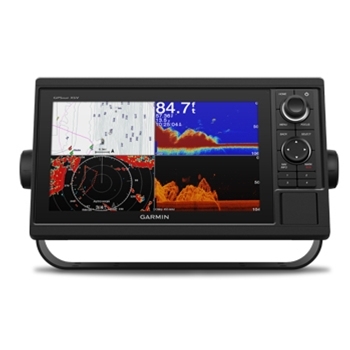 The 1242 xsv comes preloaded with Coastal and Lake Charts, CHIRP Sonar, CHIRP ClearVu and CHIRP SideVu. Transducer Required/Sold Separately. 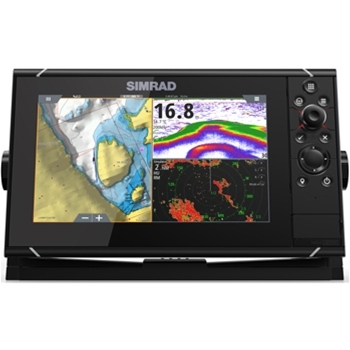 Simrad’s NSS 12 Evo 3 Multi-Function Display is a top contender in combination GPS/Fishfinders. Use as a standalone chartplotter or as part of a multi-system setup. 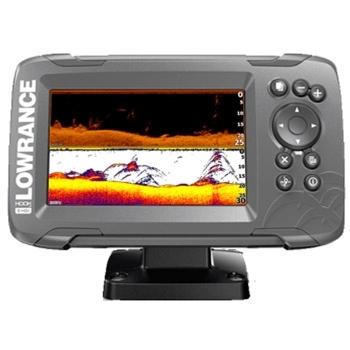 The NSS12 Evo3 offers true Dual-Channel CHIRP Sonar, ForwardScan and StructureScan Capable. *Transducer(s) Required, Sold Separately. 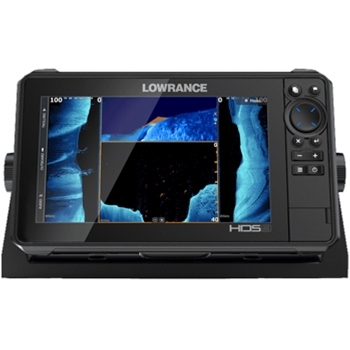 The Lowrance HDS-9 LIVE with 3-in-1 transducer provides Active Imaging advanced sonar providing CHIRP, SideScan and DownScan sonar all viewable on the 9" high definition SolarMax display. 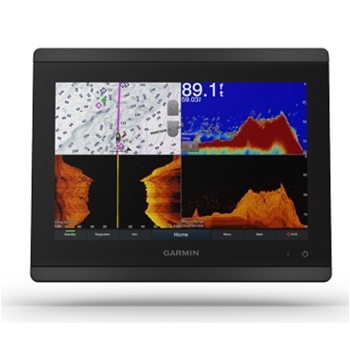 Do you fish on lakes and want the most detailed chart Garmin has to offer? Then The Garmin ECHOMAP Plus 93sv LakeVu HD Ultra Bundle is a perfect unit for you. 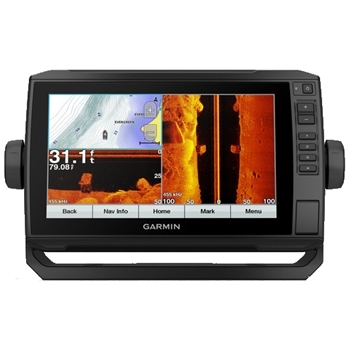 Includes the standard Garmin ECHOMAP Plus 93sv with the LakeVu HD Ultra Chart for the Eastern half of the US. 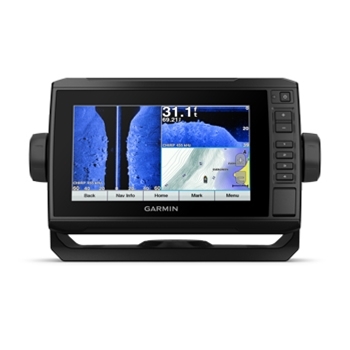 The Garmin GPSMAP 742xs Combination GPS Fishfinder offers a 7" Touchscreen display, pre-loaded Garmin Bluechart g2 and Lake Vu Mapping. CHIRP Sonar with CHIRP ClearVu, Internal 10Hz GPS Receiver, Wi-Fi, NMEA2000 and NMEA0183. Transducer Required, Sold Separately. 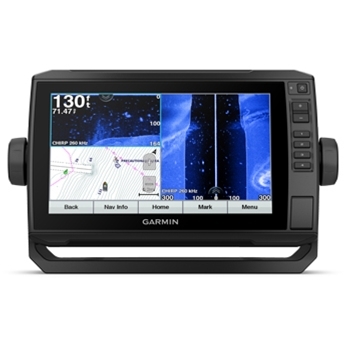 The Garmin GPSMAP 942xs Combination GPS/Fishfinder with 9” Touchscreen display and comes preloaded with Garmin Bluechart g2 and Lake Vu Mapping. CHIRP Sonar with CHIRP ClearVu, Internal 10Hz GPS Receiver, Wi-Fi, NMEA2000 and NMEA0183. Transducer Required, Sold Separately. 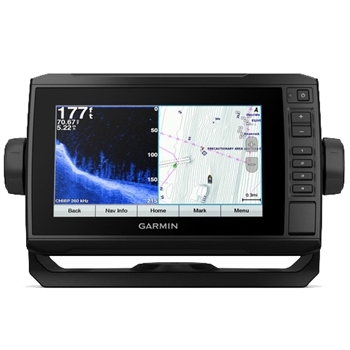 The Garmin GPSMAP 1042XSV with All-In-One Transducer and GMR 18xHD Radar Bundle features the standard GPSMAP 1042XSV package bundled with the GT52-HW All-In-One CHIRP/CHIRP ClearVu/CHIRP SideVu Transom Mount Transducer with Temp, Garmin GMR 18xHD Radar Dome and a 15 Meter Radar Cable. 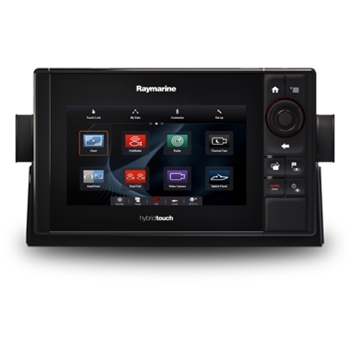 The Raymarine Axiom 7RV features a glass 7” touch screen display with Raymarine’s RealVision Sonar built-in for Life-Like 3D imagery as well as Lighthouse Natical Charting for detailed charting of Coastal US. 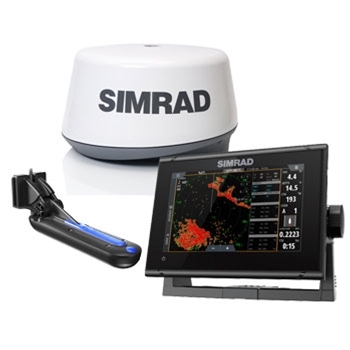 Also includes RV-100 Transom Mount Transducer for Depth and Temp. 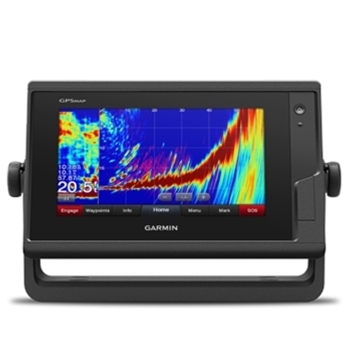 Garmin’s ECHOMAP Plus 64cv without transducer is designed with a large 6” display and preloaded with detailed Bluechart G3 Maps for the Coastal U.S. Built-In WiFi, 5Hz GPS Antenna, QuickDraw and CHIRP ClearVu make this a top choice GPS/Fishfinder! Simplified Menu with easy access to the most important functions. 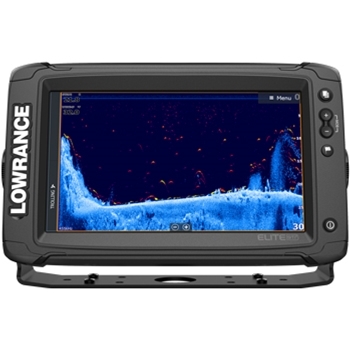 The Lowrance HOOK2 Splitshot offers a 7” sunlight viewable display, internal GPS and detailed Inland lake mapping and 2-in-1 High CHIRP and DownScan images. 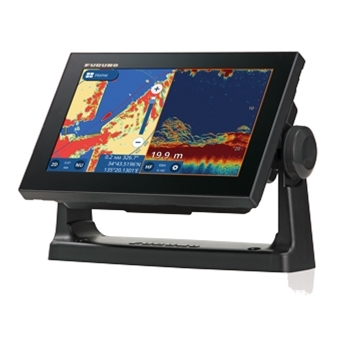 A bright, touchscreen 16” combination GPS/Fishfinder with Sunlight viewable display! 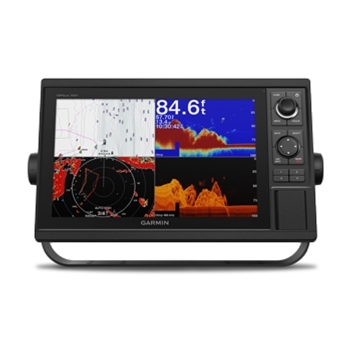 Garmin’s 8616xsv includes internal 1kW dual-channel CHIRP sonar with ClearVu and SideVu. Preloaded g3 Coastal and LakeVu g3 Maps. CHIRP ClearVu, CHIRP SideVu! 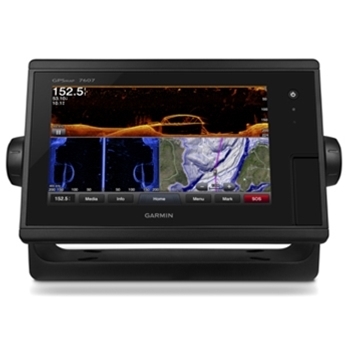 The ECHOMAP Plus 73sv from Garmin is a 7” keyed assist touchscreen with detailed LakeVu G3 Charting and crisp clear underwater images including photolike detail to the left and right of your vessel. A Bright 7” Display! 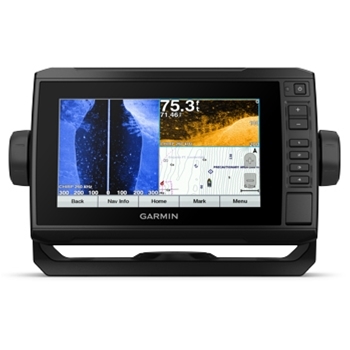 Garmin’s ECHOMAP Plus 74sv comes preloaded with detailed Bluechart G3 Mapping for the coastal U.S. and is packaged with a Garmin All-in-One Transom Mount Transducer providing crisp clear images below and to the left and right of your vessel.